Hello from Texas! We're home visiting the Lone Star State for the week and came across this little guy on our hunt today. It's a paper tray holder! 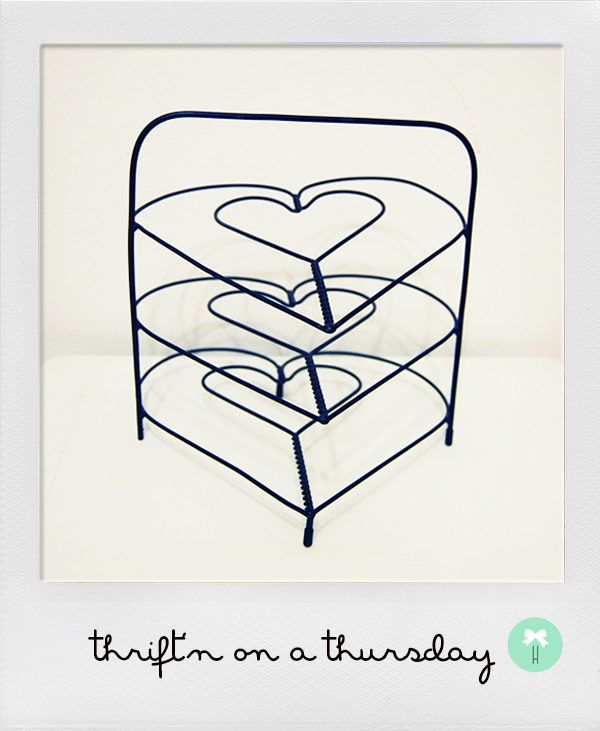 We adore the heart shape and think it'll look awesome in our office -- love that it's pretty and functional too! For just 75 cents, we practically got this baby for free, right? ?